According to last weeks Star, MACC deputy chief commissioner Datuk Sutinah Sutan was reported to have said that Civil servants and staff of government-linked companies (GLCs) surfing social media or engaging in personal matters during working hours may be categorized as having committed corruption!! So here we have a situation where the MACC deputy chief seems to think that the social media habits of Government servants warrants a statement from such a high ranking officer and therefore logically this must be something of high consequences to the nation, much more than the RM250 Million soft-loan given to a company to sort out the nations beef issues. The evidence that social media actually harms productivity is inconclusive, and if anything points us in the direction that the use of Workplace internet Leisure Browsing (WILB) is actually INCREASES productivity rather than decreases it. The first bit of evidence comes from a study the Nucleus research group that looked at the Facebook habits of 237 randomly selected office workers, what they found wasn’t very appealing, but it wasn’t shocking either. 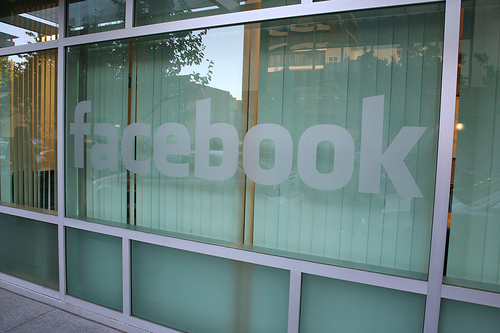  Seventy-seven percent of workers have a Facebook account.  Of those workers with Facebook accounts, nearly two-thirds access Facebook during working hours.  Those who access Facebook at work do so for an average of 15 minute each day.  Eighty-seven percent of those who access Facebook at work couldn’t define a clear business reason for using it.  Of those who do access Facebook at work, 6 percent never access Facebook anywhere else — meaning one in every 33 workers built their entire Facebook profile during work hours. The average employee who accesses Facebook at work uses it for 15 minutes each day, with a low of one minute and a high of 120 minutes per day — so it’s not surprising that more than a few respondents identified with the term “social notworking.” Given that 61 percent of employees access Facebook at work, companies can reasonably estimate a cost of 1.5 percent of total employee productivity. Now of course, this seems like simple mathematics from a 8 hour workday. If 61% of employees access Facebook for an average of 15 minutes each, that would mean that the total loss of employee productivity to social networks would be 1.9% rather than the 1.5% reported. I was quite baffled when I looked at the numbers and had to recalculate them, but for the life of me couldn’t understand where the 1.5% came from. Till I looked at a table, that clarified that it wasn’t in fact 61% of employees, but rather 61% of Facebook users. The number of employees who access Faceook at work was just 47%. This was a rather unclearly written document for research if you ask me. Calculation issues aside, the Nucleus study makes one over-arching assumption when it calculates for loss-productivity. It assumes that time spent of Facebook (or any other social media) is a complete waste of time and therefore utterly unproductive. That assumption also incorporates another key assumption in that if employees weren’t on Facebook they’d be working 100%–which from just my working experience is obviously not the case. That’s a rather simplistic assumption, and it is quite dangerous. Consider something like going to the toilet, if we assume that going to a toilet is a complete waste of time–that may be accurate until we imagine a situation where no one in the office was allowed to go the toilet in the 8 hours they spent at work–that would make for some rather hasty decisions at meetings and some pretty wet floors I imagine. I wouldn’t want to work for such a regimented organization and most research points to a loss of productivity and creativity in such environments. Very few of us have the ability to go non-stop at work. There’s no such thing as a solid 8 hour work, at some point breaks have to taken. These breaks are both mental — and physical, including the calls of nature, and while the downtimes themselves serve no purpose to the company if we eliminate these natural breaks completely from the workplace–that will result in an overall loss of productivity and dangerously high levels of moisture on the carpets. Fortunately the University of Melbourne did do a study on the effects of Workplace Internet Leisure Browsing. The study compared the performance of 3 groups of participants on a straight forward task of highlighting the letter ‘A’ from a collection of 2000 words. These straight forward task allows researchers to test for mental exhaustion and focus of the participants, of the 3 groups one was allowed to browse the internet, one was allowed to do anything EXCEPT browse the internet and the last group was bundle sticks into groups of 5 during their breaks. The results of the study was as clear as day, the internet browsing group did significantly better than the other 2 groups, with the stick bundling group doing predictably the worse off. The group that was allowed to browse the internet had less Mental Exhaustion and more physical engagement. The underlying premise of the study being that social networking and internet browsing allows employees to rest their minds for a while, which results to higher productivity for when they switch back to the tasks at hand. As to why the internet group did better is up for debate, but the results do point us in the direction that Internet browsing in the office actually results in higher employee productivity. Not to mention a similar piece of research from AT&T suggesting (once again) that social networking in the workplace increases productivity. So why then, does a high-ranking government official feel the need to make such a horrendously inaccurate statement. Even worse, is the threat of enacting new laws for the government to deal with ‘social networkers’. I for one find this whole thing appalling, and wish that Datuk Sutinah to reconsider her obviously fallacious statement. It always gets on my nerves the moment anyone makes broad statements without any factual data to back them up, which merely reinforces the notion that we need to question every statement the government sends out and subject them to the rigors of scientific inquiry.